« Steve Otto – Bringing Storytelling to New Communities. Carolyn Franzini – Running a Storytelling Festival and How Storytellers Become Candidates for Telling at the Festival. Running the Festival and How Storytellers Become Candidates for Telling at the Festival. Carolyn Franzini is the Director of the Cave Run Storytelling Festival one of the most successful and prestigious storytelling festivals outside of Jonesborough in the United States in this interview she discusses how to run a storytelling festival successfully and How Storytellers Become Candidates for Telling at the Festival. She has kindly allowed the use for the following ten tips on running a storytelling festival to be included on the Art of Storytelling with Brother Wolf blog. 10 Tips for Organizing a Festival. 5. Keep records of all expenditures in categories- ex marketing, hospitality for tellers etc. This will help you compare expenses from one year to another. 10. On the storytelling festival day(s), the festival committee should try to enjoy the storytelling a little (working it in around their job) or there is not much reason for them to work hard in the preparing for the event. Carolyn Franzini grew up on a farm in Kansas and now lives with her husband, Bob, in Morehead, KY. They have three grown children. She is retired from working 23 years as a teacher and administrator for public schools in four states. She now has time to pursue her numerous interests. 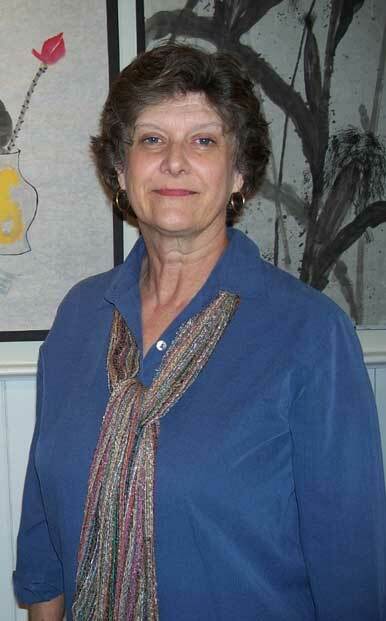 She is the coordinator of the Cave Run Storytelling Festival-the last weekend of September at Cave Run Lake. She loves to travel and learn about other cultures. She realized a dream this summer when she and her husband took seven students from Morehead to Yangshuo, Guangxi, China for three weeks. She hosts a weekly radio program, “A Time for Tales” , on Morehead State Public Radio. Each show features theme related stories told by professional storytellers. Other interests include studying Chinese and cooking. This entry was posted on Monday, August 27th, 2007 and is filed under Creating Success, Episode List, Festival Storytelling. You can follow any responses to this entry through RSS 2.0. You can leave a response, or trackback from your own site. We are managing a campground in Delhi California, Merced River R.V. Resort. We have a large outdoor area that could be used for a Story Telling festival. It has a small pavillion on the site. People would have to bring chairs. WE would like to start out small and maybe build it every year. We also have a clubhouse that could be used for colder weather. What would be the first thing we would have to do to get it started? Could we get in touch with an organization that would have 15 or 20 people under contract and set up with them or just contact the individual people? Any help would be appreciated.